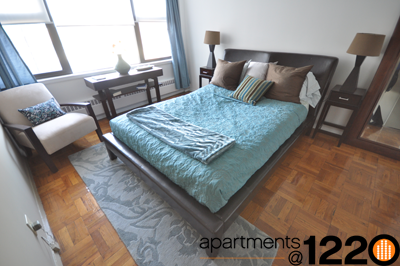 Features: Rent on our spacious temple university 1 bedroom apartments includes heat, hot water, and gas. 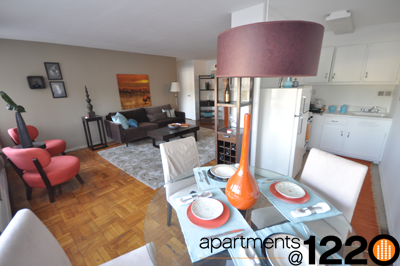 The luxurious and recently remodeled Apartments@1220 is a high rise apartment complex located on North Broad Street in Philadelphia. Perfect for college students attending Temple University and young professionals alike, Apartments@1220 features a state of the art fitness center with weights and cardio equipment, landscaped outdoor terraces, study and work lounges, on site parking, a multi-media room, a 24 hour lobby attendant, and 1st floor free wi-fi internet access.